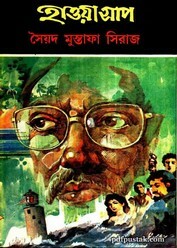 'Haoya Sap' is a detective novel which is written by famous Bengali author Syed Mustafa Siraj. This Bengali Muslim penman was the creator of numerous stories and novels. As- 'Alik Manush, 'Nilgharer Nati', Kamonar Sukh Dukho', Manush Bhut', 'Amartya Premkotha', 'Ramo Bhumi', 'Goghno', etc. Readers can collect an ebook pdf of 'Haoya Sap' novel. All 180 pages are good condition, 10mb pdf size.